Georges Mathieu was a French painter and theorist credited with launching the Lyrical Abstraction movement and the greater trend of Informalism in post-WWII Paris. 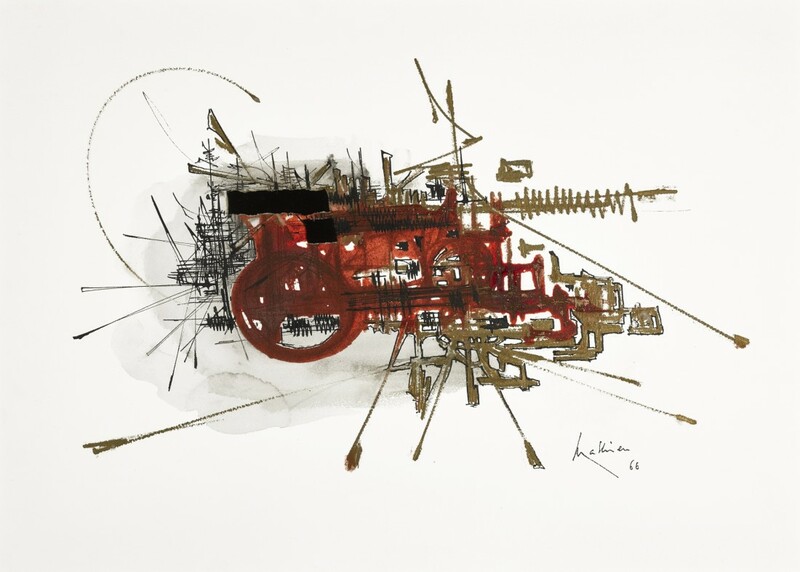 He published several manifestoes outlining the beliefs of Lyrical Abstraction, which prioritize the primacy of speed, denial of references, and ecstatic state of mind as important means in creating paintings. 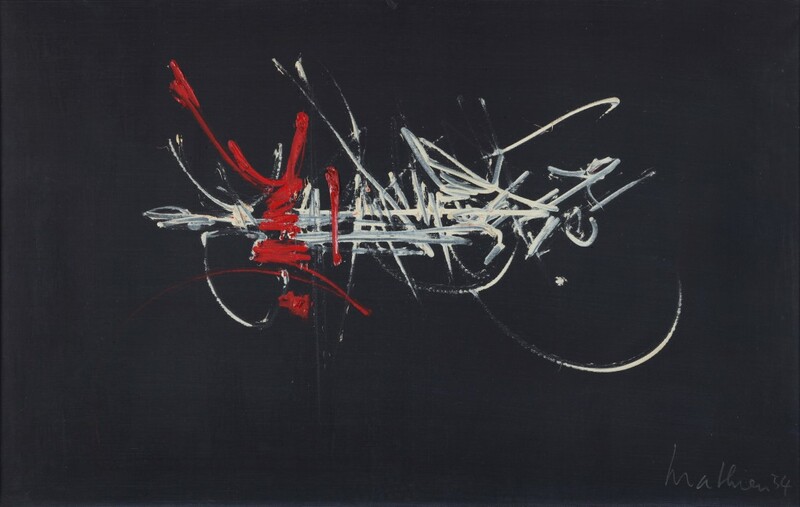 His work had a distinctive calligraphic and rhythmic quality, which notably resembles Jackson Pollock’s drip paintings. Born on January 27, 1921 in Boulogne-sur-Mer, France, Mathieu advocated for the improvement of the design of everyday objects and the disavowal of culture produced by mass media throughout his life. His work can be found in the collections of the Solomon R. Guggenheim Museum in New York and the Art Institute of Chicago, among others.